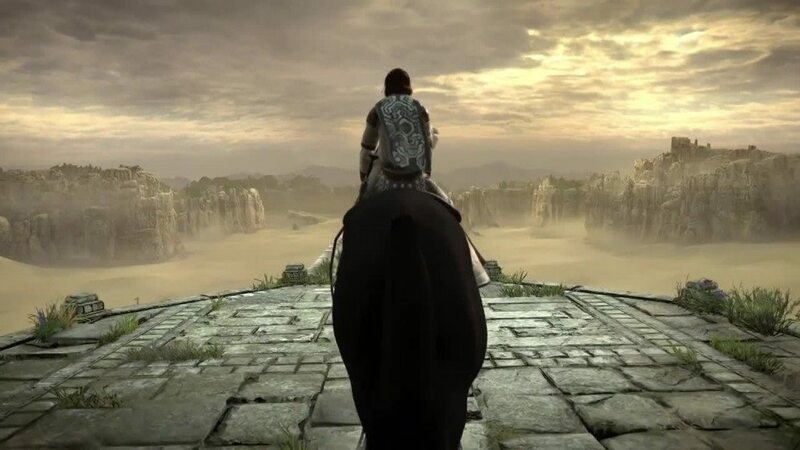 Shadow of the Colossus is hailed by many as a masterpiece. Originally released on the PS2 and remastered for the PS3, its third version will hit the PS4 February 6th, 2018. BluePoint is handling the port, a skilled studio previously porting Metal Gear Solid HD Collection, Uncharted: The Nathan Drake Collection, Gravity Rush Remastered, and others. President Marco Thrush and Technical Director Peter Dalton did an informative Let’s Play with PS Underground’s Youtube channel. They spoke about the process and intention when it comes to remastering such a landmark game. BluePoint mentioned that this was the biggest project they’d taken on. BluePoint also handled the PS3 remaster. Back then, they simply updated textures and resolution. For the PS4 they are remaking nearly every asset of the game while still trying to stay as true to the original as possible. The game will feature two control schemes: Original and a new scheme designed for modern button-mapping trends. Improvements to mounting Aggro, aiming the bow, camera-orientation when shining light on the sword, and many other minor changes to improve the feel. Although blasphemous, this idea was actually considered during development, but was abandoned as too drastic of a change. They spoke about how constantly holding R2 to grip helps maintain tension. In the video the game was running on a PS4 Pro at 4K in ‘cinematic mode’. BluePoint said that ‘given the atmosphere…the softness the game is trying to bring…the mood’ they used 1440p temporal aliasing/super sampling. Performance mode will run at a ‘targeted 60fps mode’. BluePoint has a great track record of Sony ports and this looks to be the crown jewel in their library. A loyal remake that should please fans from each generation, matching the fuzzy memories of old and capturing the imagination of new gamers all over again.